SOCAFRICA is a sub-unified command of USSOCOM under operational control of United States Africa Command, with headquarters in Kelley Barracks, Stuttgart-Mohringen, Germany. Subordinate SOCAFRICA organizations include: Special Operations Command Forward-East (Special Operations Command and Control Element - Horn of Africa), Special Operations Command Forward-West (Joint Special Operations Task Force-Trans Sahara), Naval Special Warfare Unit 10, Joint Special Operations Air Component Africa, and SOCAFRICA Signal Detachment. Commander SOCAFRICA serves as the Special Operations Advisor to Commander, USAFRICOM. 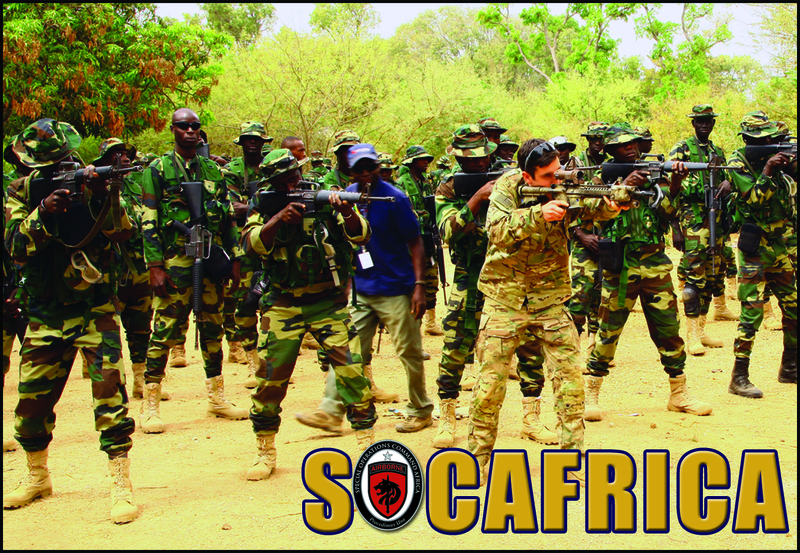 SOCAFRICA's primary responsibility is to exercise operational control over theater-assigned or allocated Air Force, Army, Marine, or Navy special operations forces conducting operations, exercises, and theater security cooperation in the USAFRICOM area of responsibility. SOCAFRICA conducts the full spectrum of SOF missions and closely works with component, interagency and Partner Nations to protect U.S. lives and interests in Africa. The command builds tactical and operational counter-VEO (Violent Extremist Organization) capability in select, key partner nations and assists in developing regional security structures to create stability and combat transregional threats. SOCAFRICA activities directly support USAFRICOM's four Theater Strategic Objectives of defeating VEOs, developing persistent access to partner nations through SOF engagement, building partner nation and regional capacity that promotes stability, and mitigating the underlying conditions that permit violent extremism. The African continent is large and diverse-three-and-a-half times the size of the United States, with 54 countries spanning 11 million square miles. SOCAFRICA is routinely engaged, on average, in half of these countries; working with and through our African counterparts. Flintlock is an exercise focused on improving military interoperability and capacity building of participating militaries from Northern and Western Africa, Europe and the United States. SOCAFRICA, as part of a global team of national and international partners, conducts persistent, networked and distributed special operations in direct support of the United States Africa Command to promote regional stability and prosperity in Africa.